Weather in Tenerife in may 2019 - Climate, Temperature, Where to go? Tenerife in may: average Weather, Temperature and Climate, Where to go? How is the climate in Tenerife in may? Is it the perfect time to go to Vilaflor de Chasna and La Orotava? Check out weather datas and our advices on this page. Below, find the the weather forecast for the month of may for most popular cities in Tenerife. These datas are probabilities for the month of may from weather reports for many years. The percentage indicates the probability of having the weather indicated. The month of May announces the return of beautiful days with a rise in temperature that manifests itself by a comfortable warmth. As the sun floods the island with its beneficial rays, the weather throughout May in Tenerife allows to enjoy beautiful and warm days to practice all kinds of activities. During the first days of May, the atmosphere gives way to a pleasant warmth, thanks to a gentle morning temperature that heats up gradually over the hours. In the middle of the day, the heat is already comfortable enough to wear a tshirt and sandals. In the middle of the month, the climate throughout May in Tenerife will allow to benefit from climatic conditions that are close to the ideal. Temperatures continue to climb while the clear sky predicts days without rain that are pleasantly warm. Even if the sky is covered, clouds rarely turn into rains at this time of year. The last days of the month see temperatures that drop slightly. One may experience some freshness during the hours after sunrise. Fortunately over the hours, temperatures rise slightly allowing to spend pleasant moments. Where to go in Tenerife in may? Where should you go in Tenerife in may when it comes to the weather? The climate in Tenerife in may ranges from perfect to good depending on the region and city. warning in may the weather is not the same depending on the city and regions of the country. In may the weather is perfect in Tenerife, but only part of the territory: in Los Cristianos, Granadilla de Abona, Arona, San Isidro, Masca, Vilaflor de Chasna, Buenavista del Norte, Santiago del Teide, El Médano, Playa de las Américas, Icod de los Vinos, Los Gigantes, Adeje, Las Galletas, Puerto de la Cruz, San Miguel De Abona, Costa Adeje, La Guancha and Los Realejos. Around these cities, these perfect weather conditions will allow you to live fully your vacations: the sun is guaranteed, precipitations are scarce and the humidity is bearable. It is therefore the ideal month to go to these cities! Please note that the weather is still favorable in the cities of Santa Cruz de Tenerife, La Orotava, Tacoronte, Teide National Park, La Matanza de Acentejo, Candelaria, Tegueste, Taganana, La Victoria de Acentejo, Guimar, San Cristóbal de La Laguna and Santa Úrsula. Around here, temperatures are still suitable and allow you to visit - and why not do a bit of sunbathing in the sun! 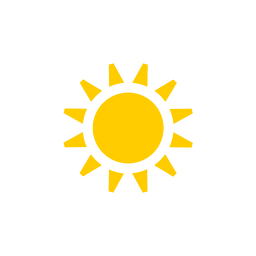 In the month of may, the mean temperature in Santa Cruz de Tenerife is 21°C (maximum temperature is 23°C and minimum temperature is 20°C). The climate is quite enjoyable around this city in the month of may. It almost never rains during this month. You will therefore be at the shelter from rain during your vacations! With good weather conditions, may is a good month to go in that area. In may, maximum temperature is 24°C and minimum temperature is 22°C (for an average temperature of 23°C). The climate good in that area in the month of may. does not rain (or really exceptionally) during may. You will not get wet during your journey! With a perfect weather, may is a recommended time to go in this locality in Spain. In the month of may, the mean temperature in Puerto de la Cruz is 22°C (maximum temperature is 23°C and minimum temperature is 20°C). The climate quite pleasant here in this month. It rains very rarely during may. You will be well dry during your vacations! With a perfect weather, may is a recommended month to go in that area in Spain. In the month of may, the mean temperature in San Cristóbal de La Laguna is 20°C (maximum temperature is 21°C and minimum temperature is 19°C). The climate is quite good there in the month of may. It does not rain (or really exceptionally) during the month of may. You will be well dry for your vacations! With a good climate, may is a good month to go in this city in Tenerife. In the month of may, the mean temperature in Los Gigantes is 22°C (maximum temperature is 24°C and minimum temperature is 21°C). The climate is pleasant in this city in this month. It's raining really exceptionally during may. You will therefore be at the shelter from rain for your stay! With ideal weather conditions, may is a recommended time to go in that area. Weather data for Tenerife in may is derived from an average of the weather forecast since 2009 in Tenerife. There is a margin of error and these forecasts are to be considered as general information only. The weather in Tenerife can vary slightly from year to year, but these predictions should limit surprises. So you can pack your bags and check when is the best time of year to visit Tenerife.